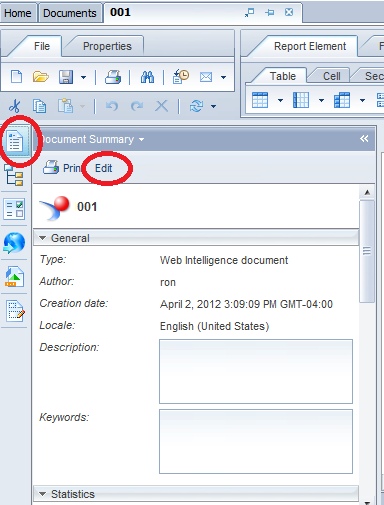 I never quite understood why webi reports save with data by default. 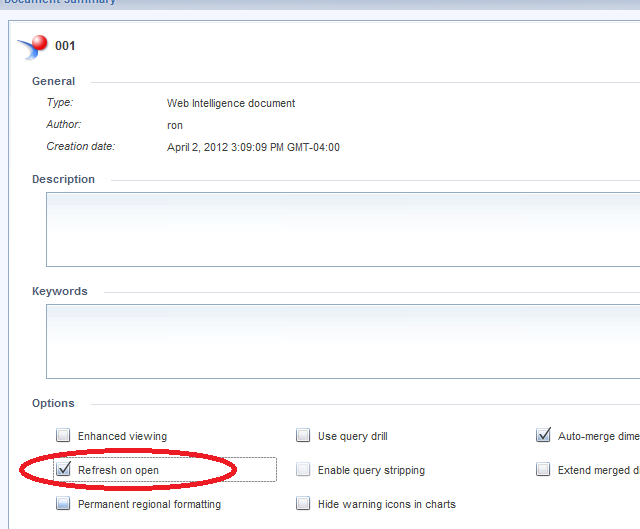 Since almost all usage scenarios of webi i have ever encountered involve either viewing reports on demand, or viewing the last scheduled instance, leaving data saved on reports is not only a nuisance, but also a security problem. Experienced report developers know to purge the report data before saving and set the report option to refresh on open, to assure the reports hits the database when opened. 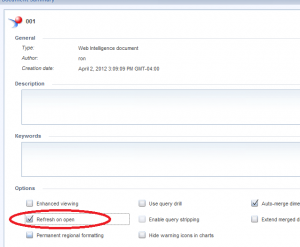 This entry was posted in Web Intelligence and tagged Webi 4.0 refresh on open. Bookmark the permalink. Great post simple option hard to find after a report is saved :).